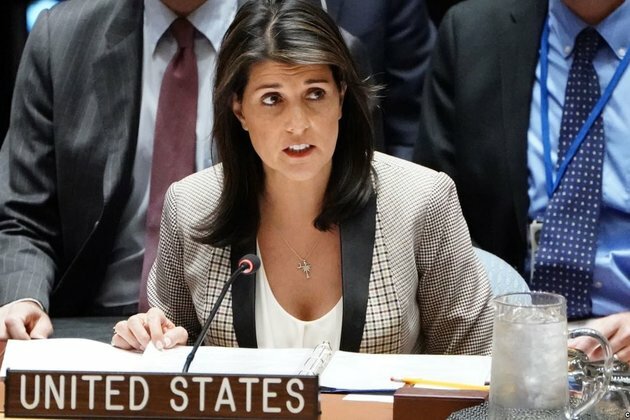 The United Nations Security Council is meeting behind closed-doors on December 4 to discuss Iran's latest missile test, which the United States and other allies said may have been in violation of a three-year-old council resolution. France has described the test as 'provocative and destabilizing' and said it did not 'conform' with UN resolution 2231, which was passed in 2015 as part of the landmark nuclear deal between Tehran and Western powers. Iran says its missile program is defensive and not aimed at building an arsenal of nuclear-tipped missiles. U.S. Secretary of State Mike Pompeo earlier said the ballistic missile was capable of carrying multiple warheads and striking parts of Europe and the entire Middle East. The United States in May said it was withdrawing from the 2015 nuclear deal and moving to reimpose economic sanctions on Iran, angering Washington's European allies.